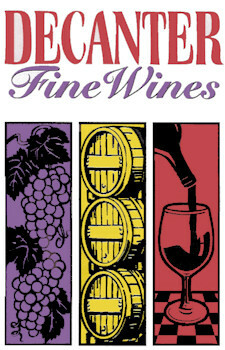 Decanter Fine Wines For All of Your Wine, Beer and Liquor in Columbia, MD! A balanced mix of moscato wine and mango puree. 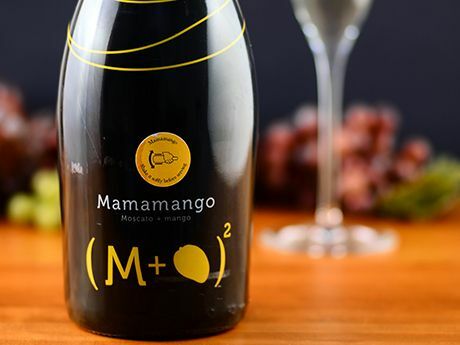 This sparkling aromatic Moscato is paired with natural mango puree for a unique and incomparable taste! Ideal for sparkling aperitifs or to accompany fruit and dessert. Medium-plum in color, and from the best "Big Red" grape areas of Paso Robles, The Insider has concentrated aromas of cassis and boysenberry. Up front this wine displays a very supple and plush texture with ripe black cherries, integrated vanilla and balanced French oak notes. 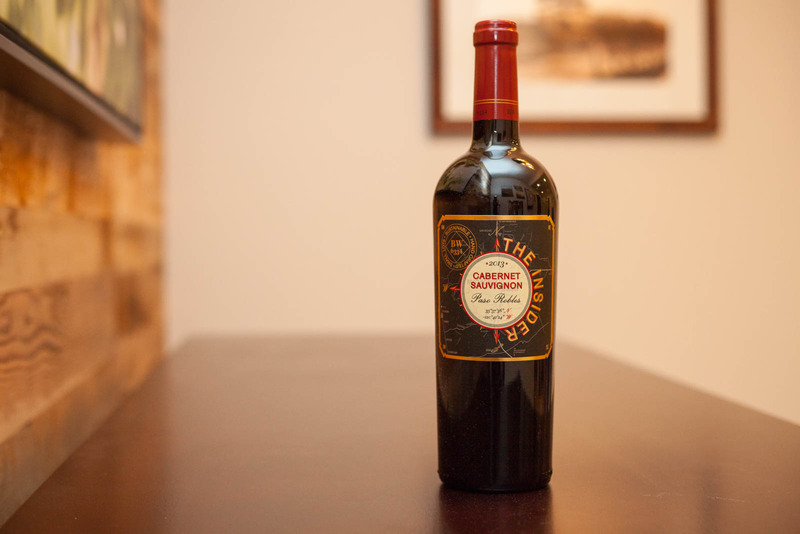 After opening up, the wine reveals a vibrant Cabernet Sauvignon tannin structure which showcases both its backbone and age-ability while ending with rich plummy and ripe cherry fruit with cherry vanilla on the finish. A beautiful peachy pink, light salmon color. The nose is fresh with sweet notes of raspberry and strawberry. Those same pure fruit aromas are mirrored on the palate. 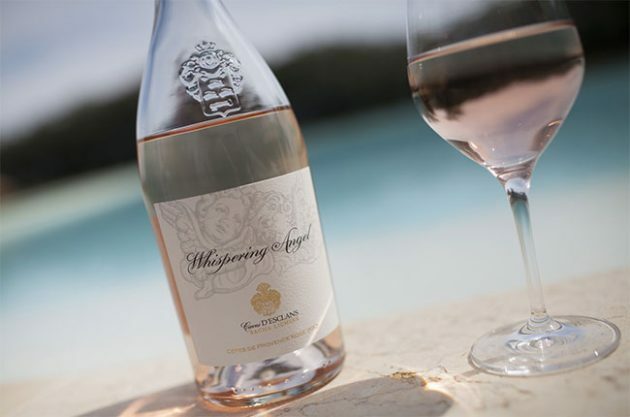 Fresh and bright; it's expansive on the mid-palate, and has long, clean, fresh finish. Maduro is a Northern English-style Brown Ale with some American affectations. Higher in alcohol than the common English Brown Ale, the beer features flaked oats in the malt bill which imparts a silky body and works to mesh its roasted, toasted and chocolate components together. The end result is a remarkably full-flavored yet approachable Brown Ale that pairs well with mild to medium cigars. Traditional throughout Latin America, the guayabera shirt combines style, functionality, form and tradition in its four-pocketed design. 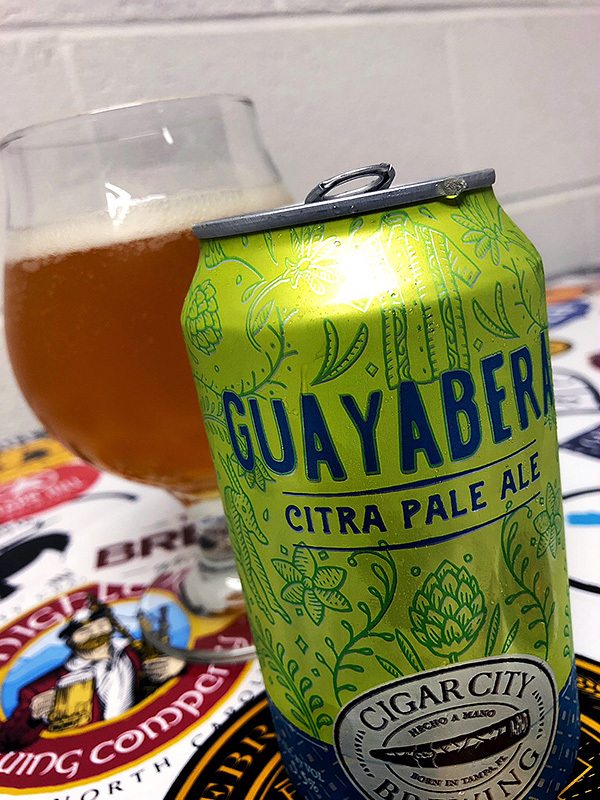 We at Cigar City feel the same reverence and appreciation for the guayabera that we do for the Citra hop varietal, an ingredient that imparts notes of tangerine, lime and berries to this traditional American Pale Ale. The exclusive use of Citra hops in this beer creates a flavor that’s at once unique and recognizable, while it’s dry, crisp character and moderate alcohol make it as refreshing and functional as a crisp linen guayabera. Jai Alai, a game native to the Basque region of Spain, is played on a court called a fronton. Jai Alai players attempt to catch a ball using a curved mitt whilst the ball travels at speeds up to 188mph! Proving they have a sense of humor the Spanish dubbed this game, with its ball traveling at racecar speeds, “the merry game.” Tampa was once home to a bustling Jai Alai fronton but sadly all that remains of Jai Alai in the Tampa Bay area is this India Pale Ale that we brew in tribute to the merry game. The India Pale Ale style of beer has its roots in the ales sent from England to thirsty British troops in India during the 18th century. Pair Jai Alai India Pale Ale with beef empanadas, deviled crabs and other spicy dishes. This Puerto Rican distilled rum made by Bacardí is based on a recipe from the Arechabala family who created it in Cuba in 1934. The family produced it up until 1960 when they fled Cuba after Fidel Castro nationalized the distilleries there. It became available in select Florida markets in June 2016 and will roll out through the rest of the country the same year. Blanco is aged for 1 year in oak before being blended and filtered. it is then aged a further 2 months in oak for mellowing. Clasico is made from a blend of rums aged from one to three years. The vanilla and oak scent is roughly comparable to the Cuban namesake. However, it feels lighter than most Cuban rums and is fairly oaky, without the sweetness and richness that usually makes rum such a joy, and perfect for mixing. Named after a tool for the barreling process, The Cooper’s Croze is a carefully crafted whiskey that effortlessly carries vanilla sweetness, rich fruit flavours, floral and spice notes and the undeniable influence of oak. You can take whiskey out of wood but you can never take the wood out of whiskey. On the nose it presents a honeyed intro, then stewed apples, vanilla, toffee, white chocolate. Some vague straw or grassy notes. In the mouth a lovely chewy texture lures you in. But with a thick malty quality, citrus is beginning to show. Grapefruit perhaps, when combined with that bitterness of the wood creates a very long, lingering, woody finish. Wine and/or Beer Tastings available daily open to close; with an ever changing selection. We use a nitrogen system for guaranteed freshness. Copyright © 2015 by Decanter Fine Wines. All Rights Reserved.